Companies lose billions of dollars each year from employees not understanding their jobs.1 One of the best ways to increase productivity is to set clear expectations upfront. Ambiguous job titles and descriptions can lead to confusion. Before a new employee starts, have their supervisor review and update the job title and description. Ideally this step would happen before the job was even posted. The employee’s supervisor should review the job description and expectations with the employee as a part of their orientation and give the employee a chance to ask any questions. Completing 50 percent of software training by the end of their first month. Scheduling one-on-one meetings with key staff in the first two weeks. Conducting 3 client interviews within the first six weeks. Completing mandatory HR training within the first two months. Managers will need to set different goals depending on the position. The goals should help the person learn their job and get up to speed. After completing these goals, managers can then review performance-specific goals with the new employee. 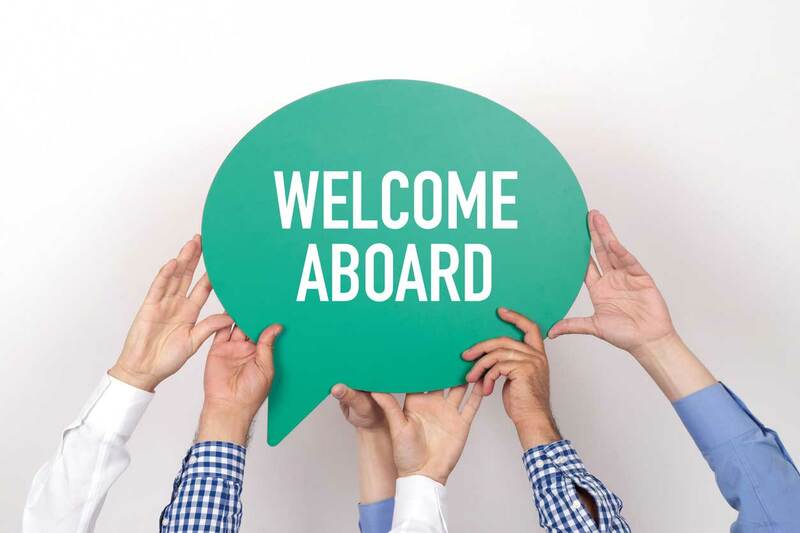 Employee onboarding is not just an HR function. Managers need to be involved. As seen with the first two best practices, onboarding needs to be tailored to the specific position. Managers understand the day-to-day functions of the job better than HR teams so they can help design an onboarding program the best suites the position instead of a generic companywide onboarding program. An effective onboarding program requires a significant time investment. Employees are more likely to take the onboarding process seriously if their manager shows their support for onboarding. If your employee onboarding still includes handing new hires a 1-inch thick file folder full of forms and manuals, it’s time to upgrade. What forms could be automated or converted to a digital format? Skip paper onboarding checklists and utilize onboarding software to help employees familiarize themselves with software and processes. Onboarding doesn’t end after the employee’s first 30 days. Providing ongoing training and education improves employee performance and makes employees feel valued. You can also increase productivity by providing ongoing support and training. All employees, especially new ones, have difficulty remembering how to complete certain tasks unless they do them every day. It’s a phenomenon known as the forgetting curve. The only way to ensure employees retain the information from their onboarding is to continue to provide training and support tools. 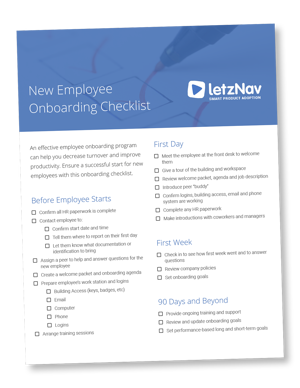 Ensure a successful start for new employees with this onboarding checklist. Enter your email below to download your copy.